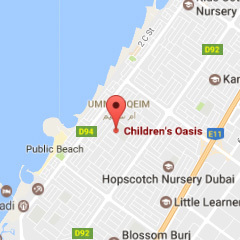 Children’s Oasis Nursery believes that the health and safety of our children is of paramount importance. 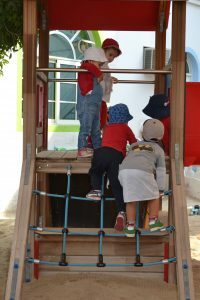 We endeavor to make our setting a safe and healthy place for children, parents, staff and volunteers by assessing and minimising the hazards and risks to enable the children to thrive in a healthy and safe environment. Accidents at nursery school are a daily occurrence, usually due to the little ones lively, curious nature, fortunately, most of these accidents are minor and cause no damage other than a few tears which are soon resolved with a visit to our friendly nurses Joanne and Maria and let’s not forget the stamp for being brave. 1. All staff are Paediatric First Aid trained. This is something we are very proud of at the nursery. It gives parents and teachers the confidence to know we are all able to act confidently in the case of an emergency. 2. Nurse Joanne and Nurse Maria carry out an early morning daily inside/outside risk assessment safety check before any children arrive at the nursery. Throughout the day the nurses are always on the lookout for any potential hazards. 3. All Teachers carry out their own classroom-based early morning risk assessment before the children arrive in class. 4. Risk assessment encourages all staff to think about what could go wrong so that they can control the situation before accidents or ill health occur. 5. All risk assessments are documented and any potential hazards are dealt with immediately. 6. We have our very own maintenance man, Mr Vivec who has been with Children’s Oasis Nursery for many years. We feel having Mr Vivec is a big plus for the nursery as it means we can ensure that matters are dealt with quickly and safely. 7. We have a strict Infection Control Policy within the nursery and pride ourselves on being open and transparent. If there is an illness in the nursery parents are informed, thus helping to reduce the risk of the spread of infection. 8. Children are taught the importance of hand washing formally each term and on a daily basis by the class teachers. All our teaching assistants are also responsible along with the teachers for maintaining the cleanliness of the nursery. The advantage of this practice is that all cleaning and hygiene issues can be dealt with promptly throughout the day.